Classy and understated featuring muted matte night sky blue lacquer with bright shiny chrome trim. 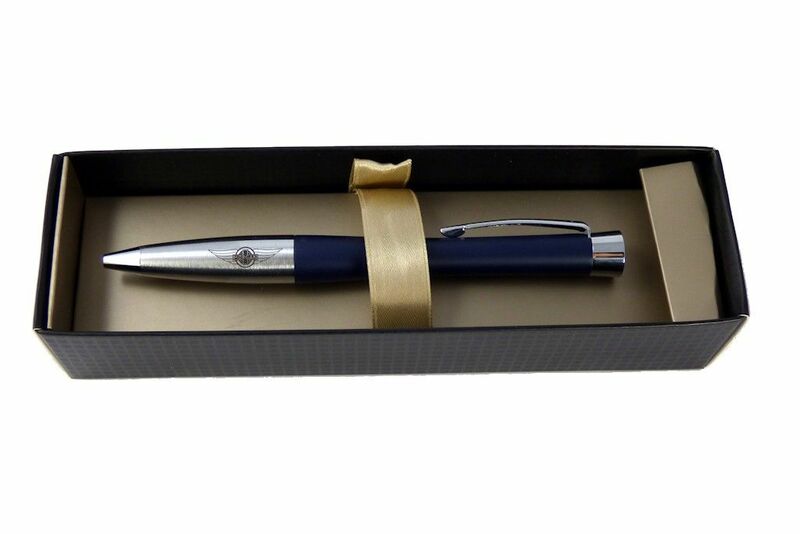 The Urban is a contemporary ergonomic pen which combines image and quality in a modern pen for a modern life. It has a heavy weight bullet shaped barrel, proving a good quality pen for the price. The pen has been laser engraved with the Morgan Wings logo for that special touch.